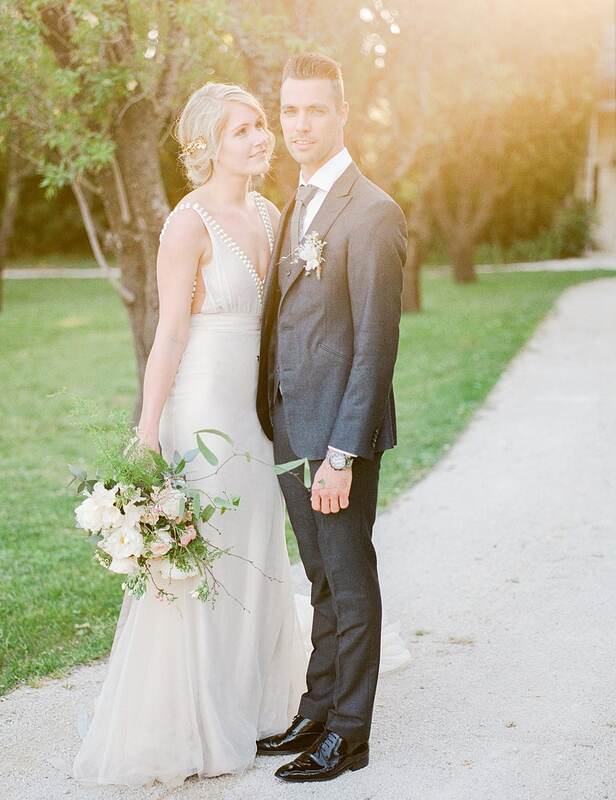 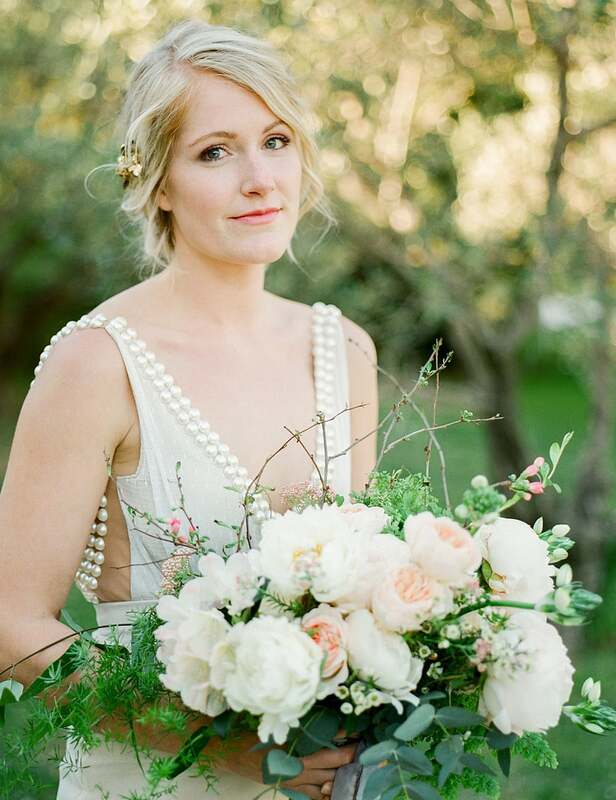 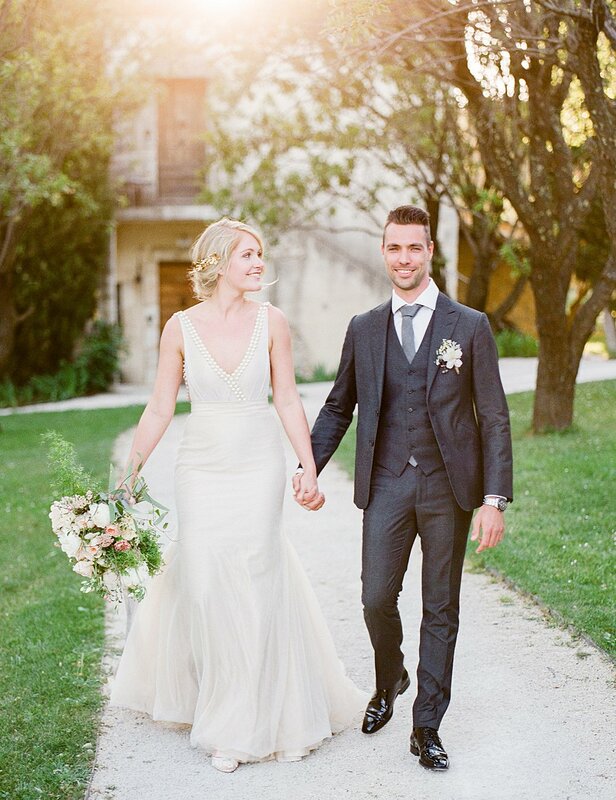 With this real couple editorial we wanted to visualise a whimsical Provence wedding with a touch of luxury. 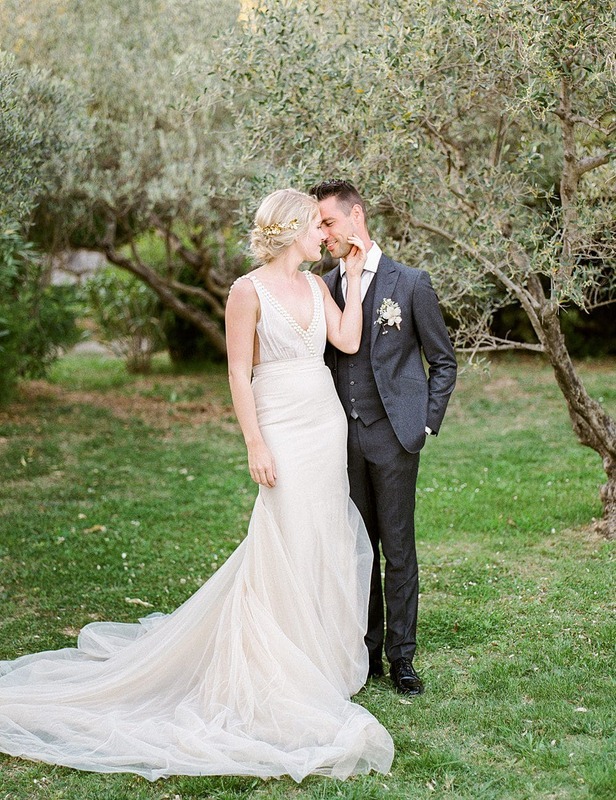 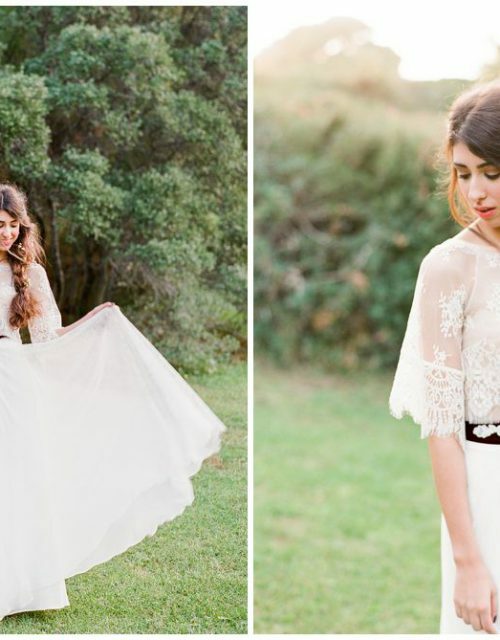 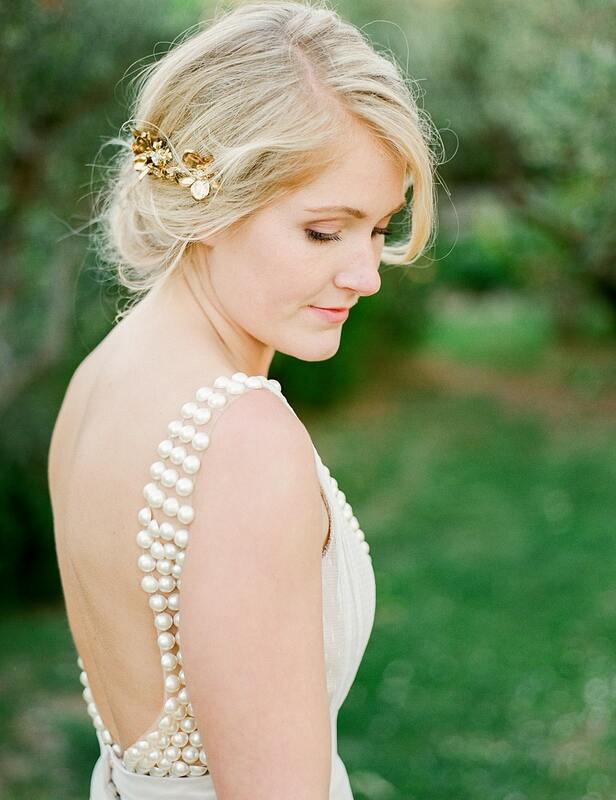 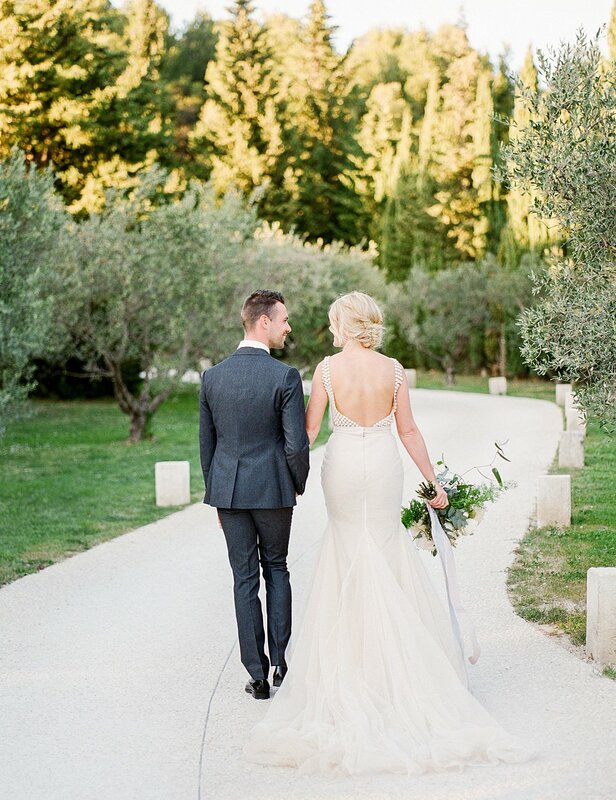 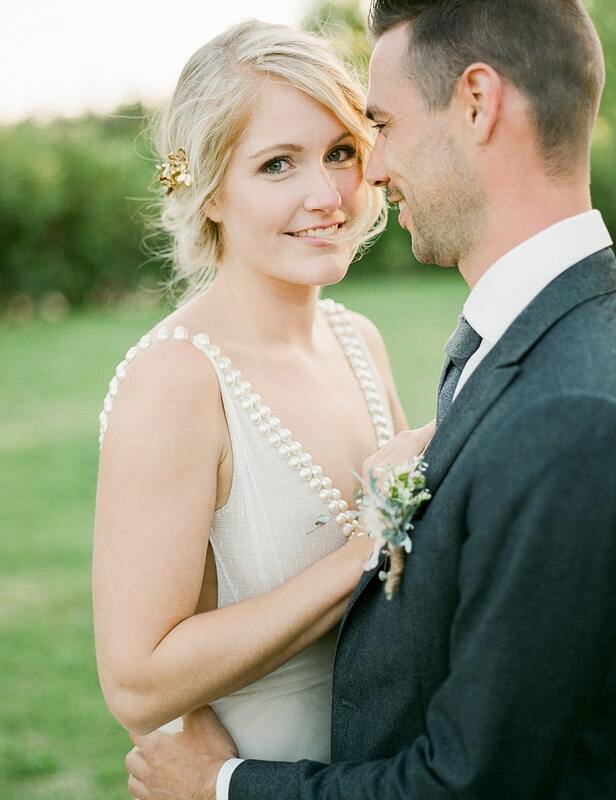 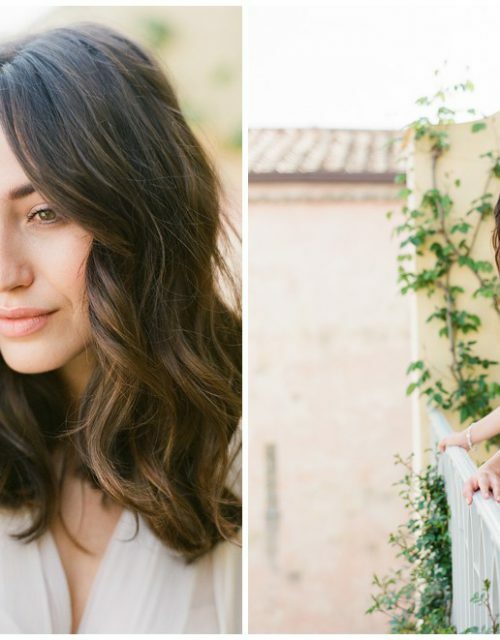 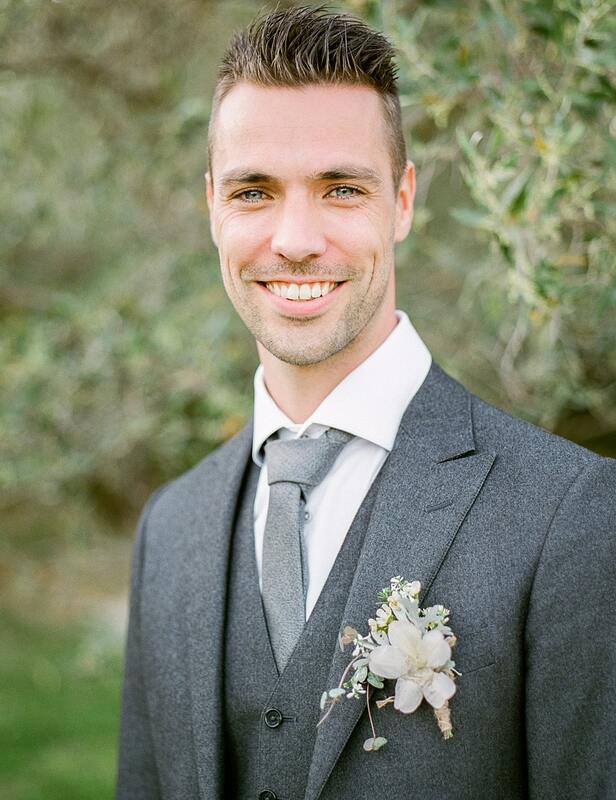 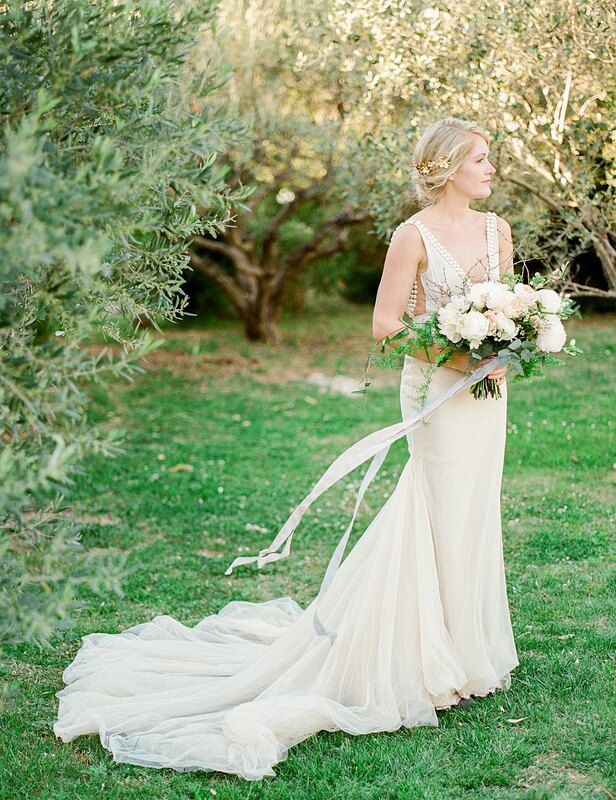 Le Hameau des Baux was the perfect setting for this wedding shoot, surrounded by olive groves. 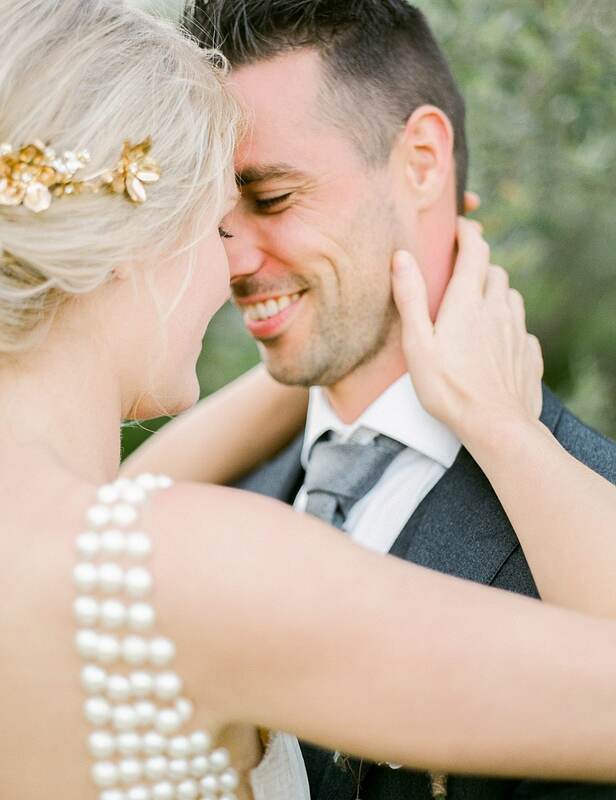 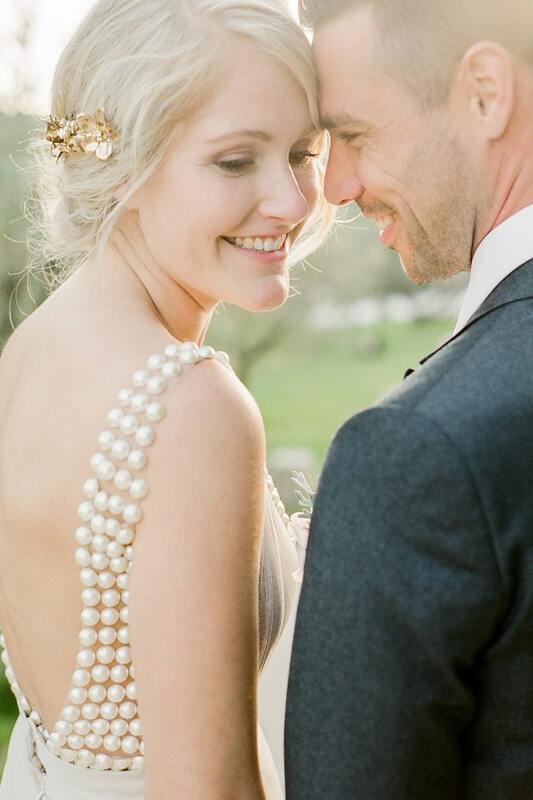 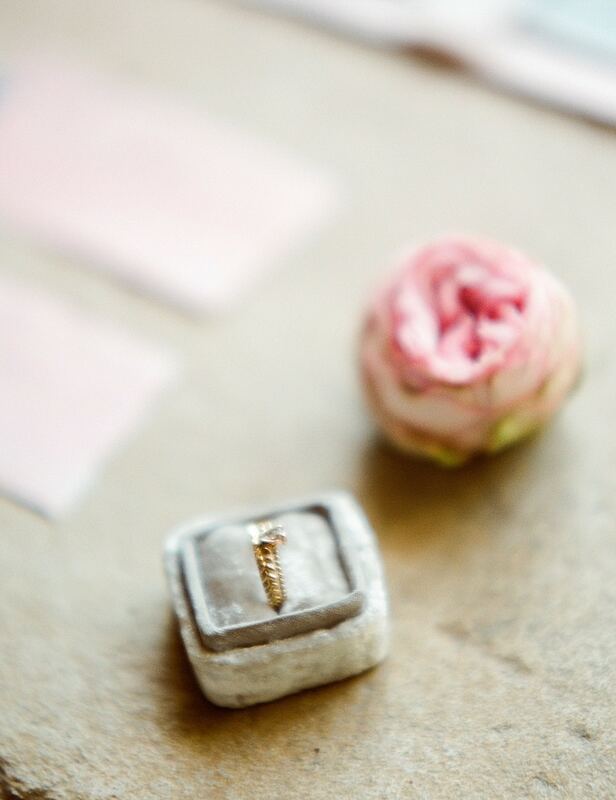 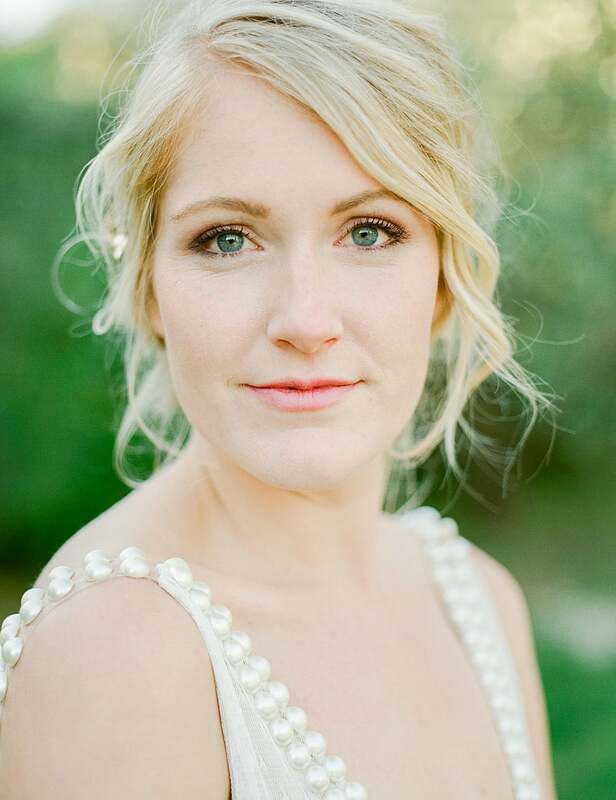 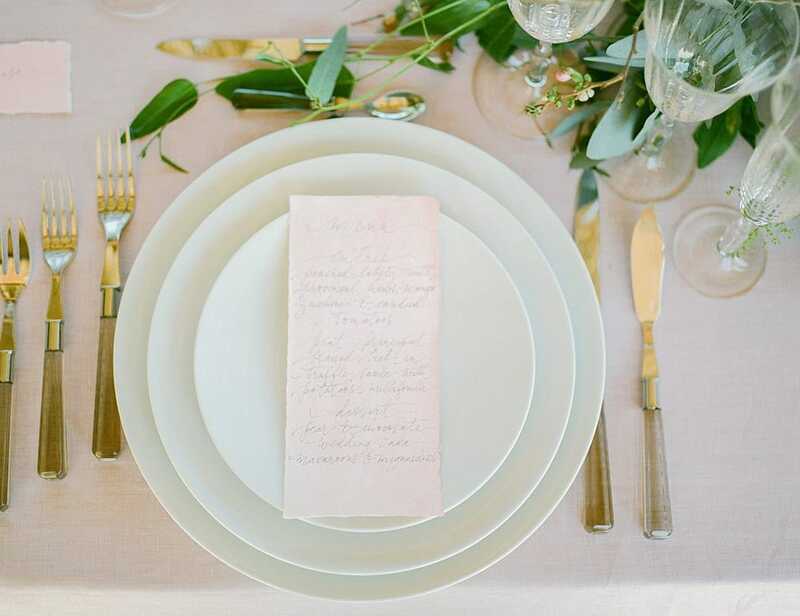 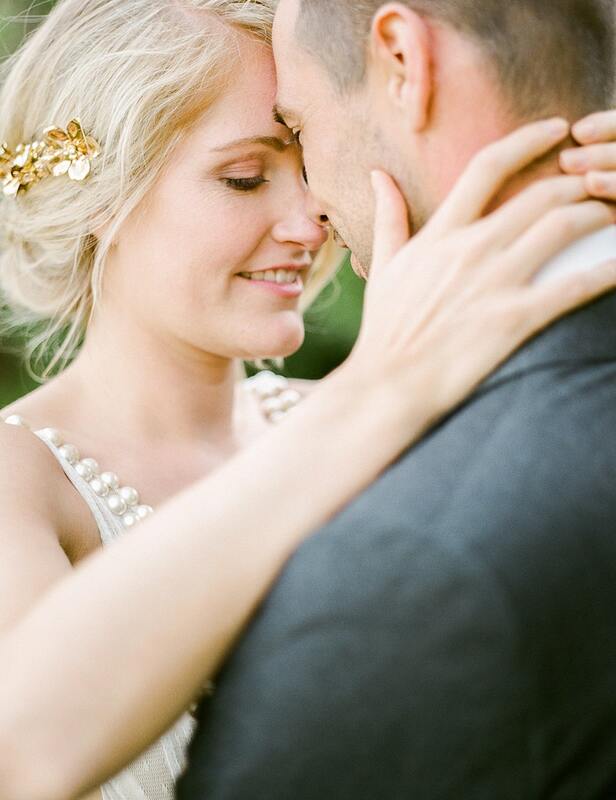 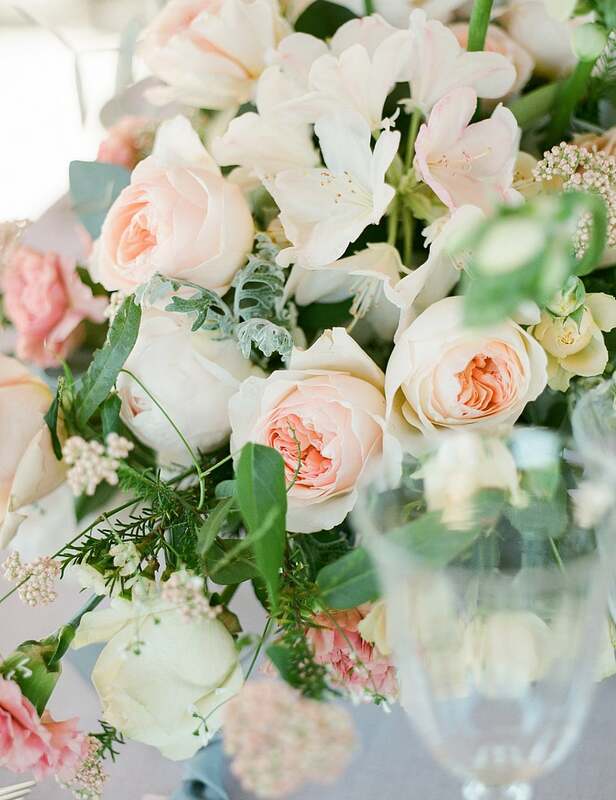 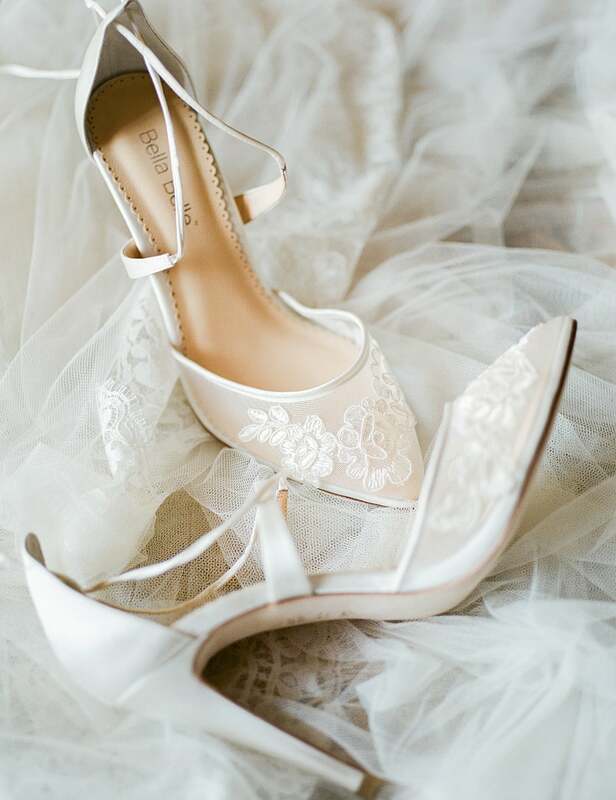 The gold and blush color scheme created the perfect sense of elegance and playfulness for this wedding shoot. 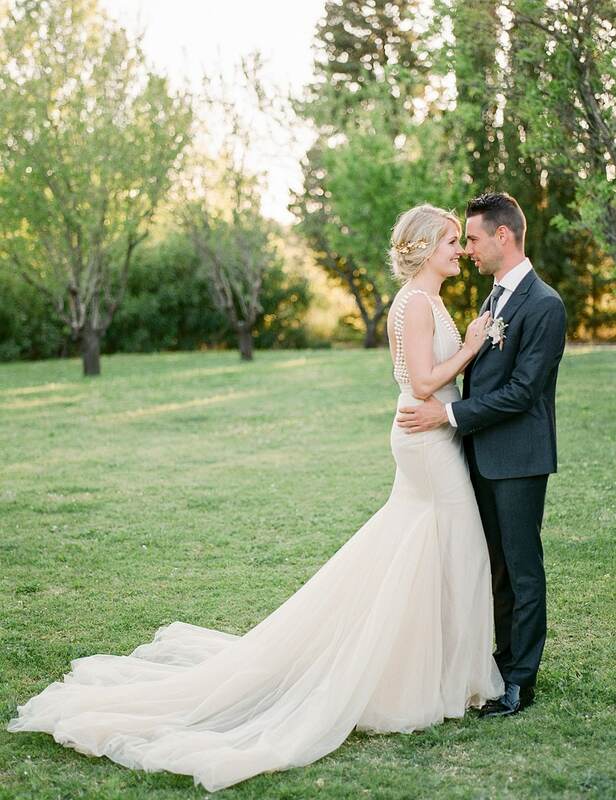 Dressed in a sophisticated Zahavit Tshuba gown, Valerie looked absolutely stunning for her groom Robert, who was really star-struck with his Rietbergh tailor-made suit. 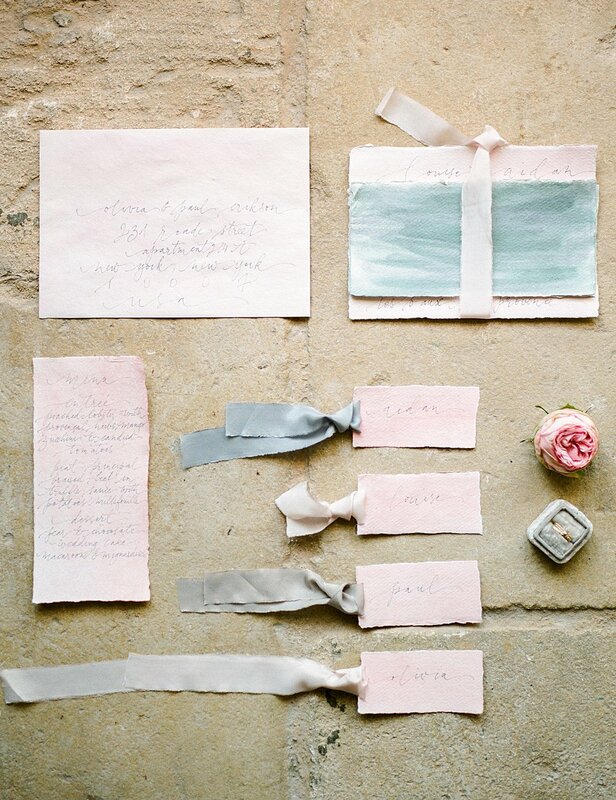 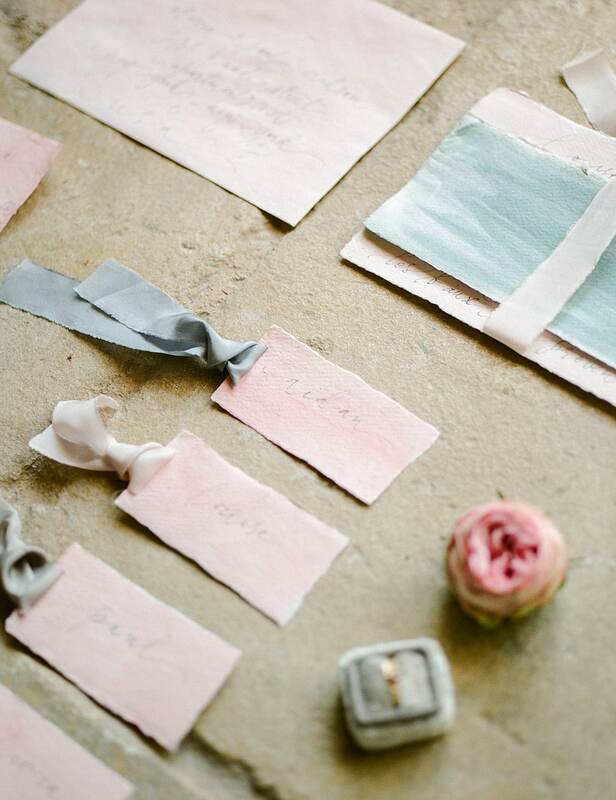 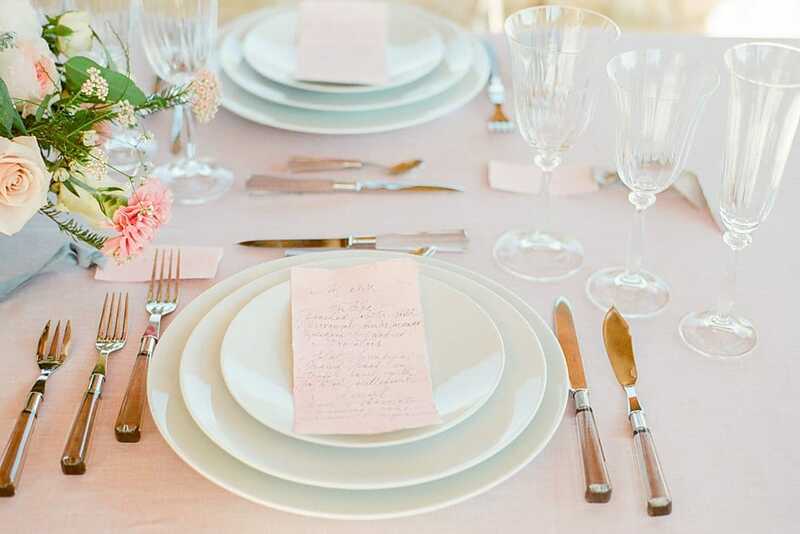 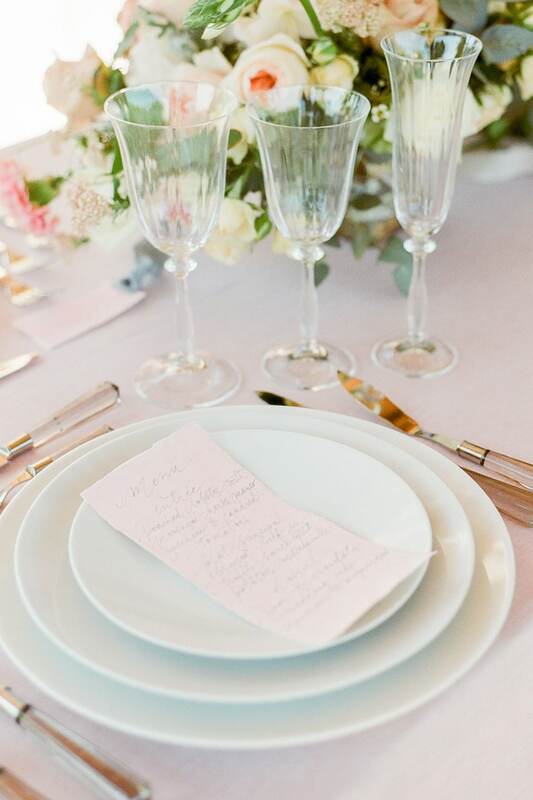 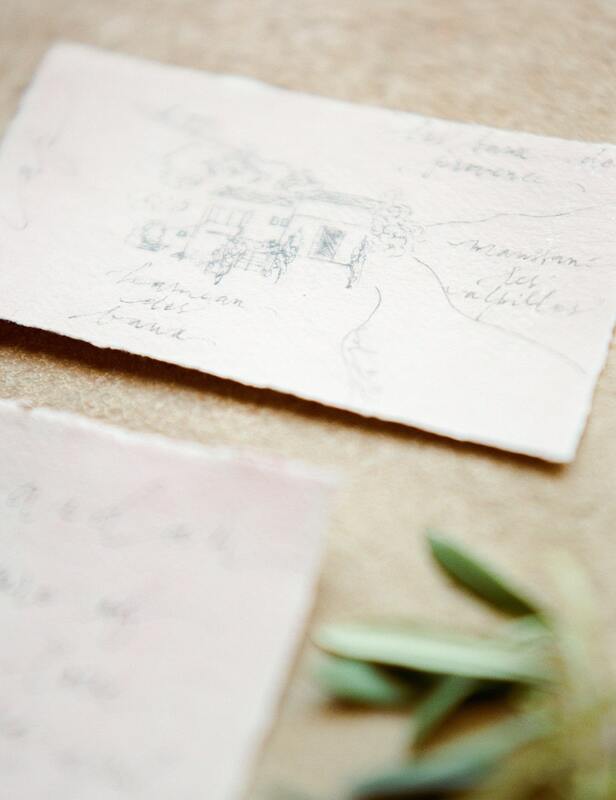 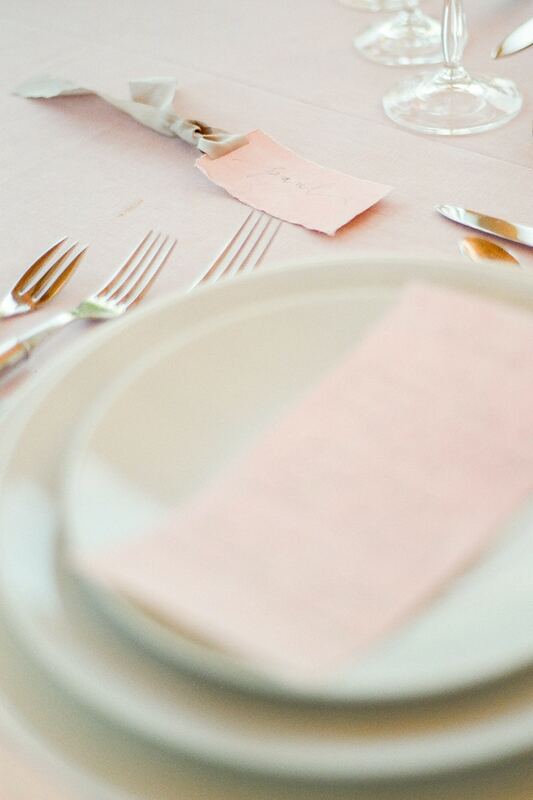 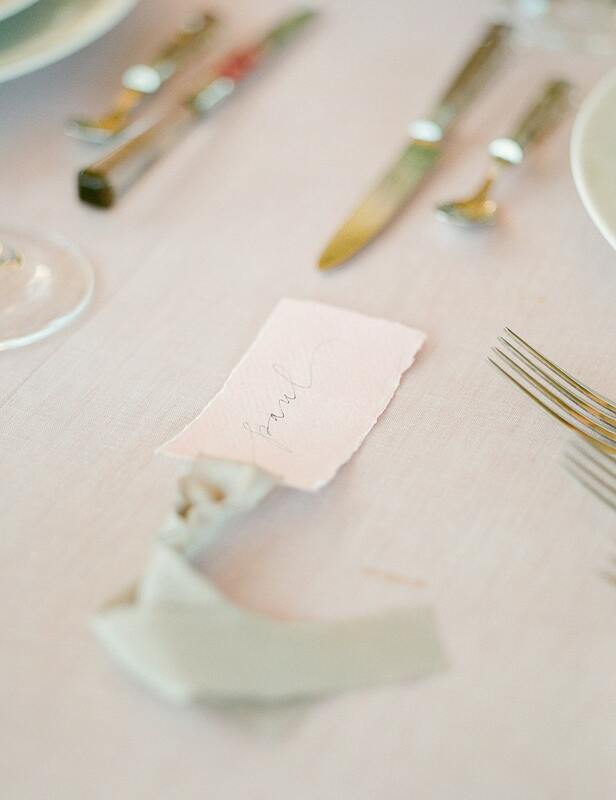 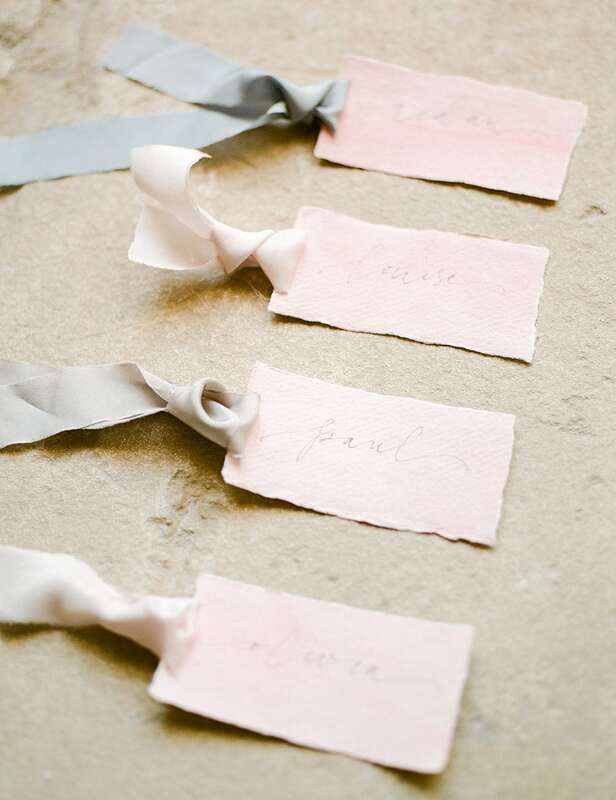 The exquisite stationery, hand-written by Nora from Nice Plume enhanced the styling of this shoot by giving it the perfect combination of a romantic authenticity and a touch of exclusivity. 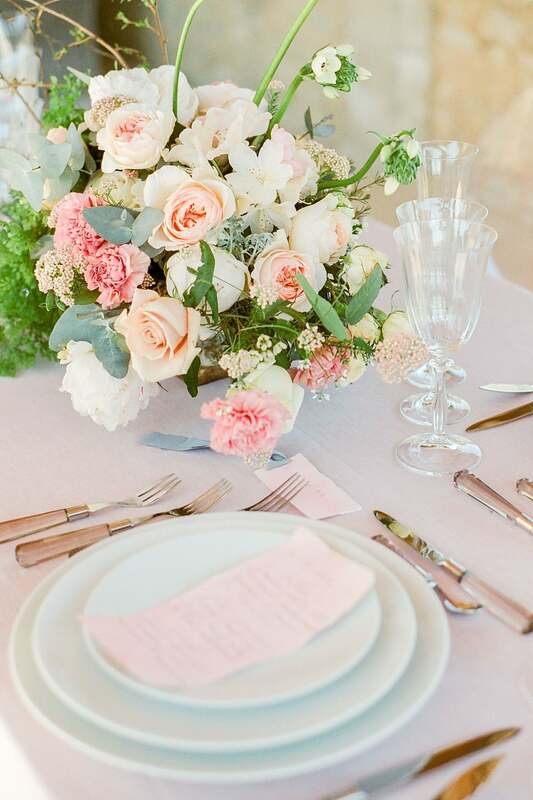 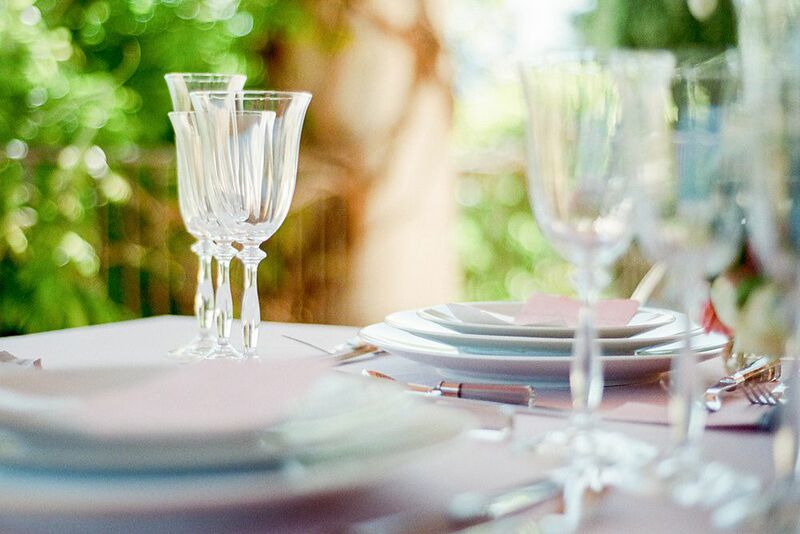 With the table setting and floral decorations fitting perfectly in the color scheme flawlessly, the complete design fitted in the rhythm of this exquisite French beauty. 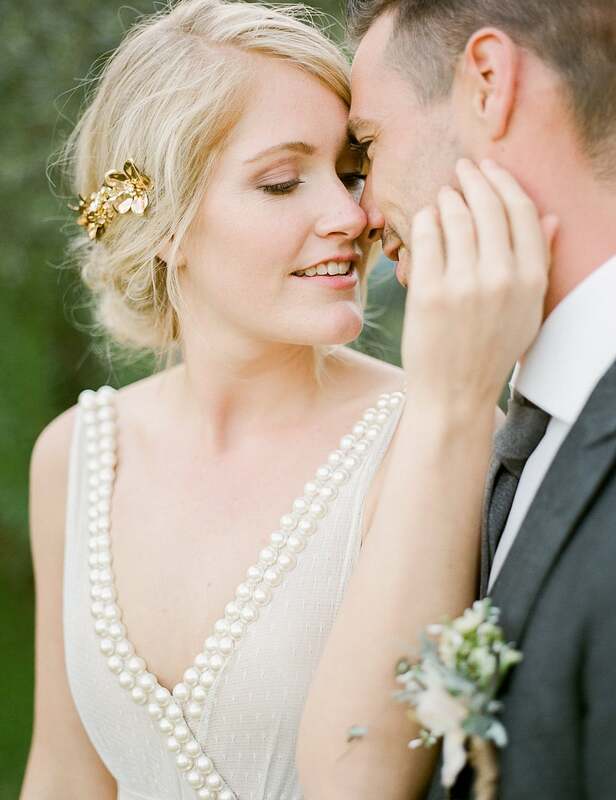 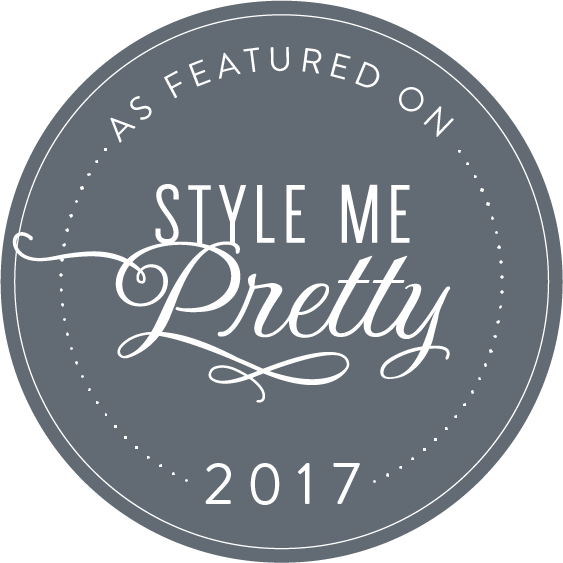 The amazing team of vendors created the best of their craft to make this shoot to the wonderful result we achieved. 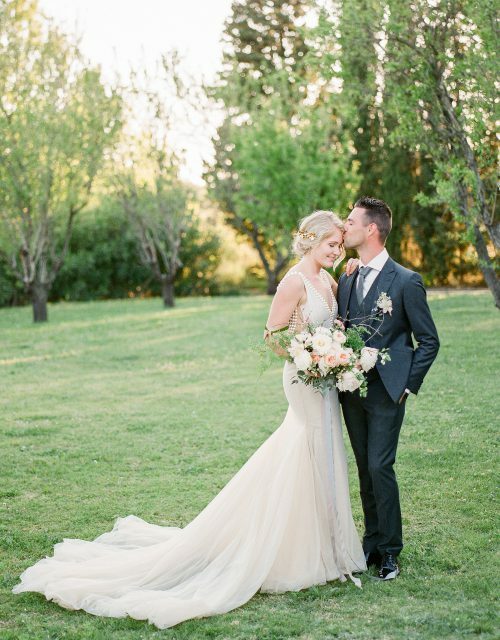 Valerie and Robert looked stunning and they really enjoyed the first look and spending some utterly romantic moments together.